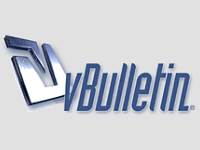 vBulletin v3.5.0 forum software went “Gold” today – finally out of testing and considered ready for production. Bad because I’m going to have to put aside a few days to upgrade all my forums – especially the ones that have been significantly hacked. Oh well, it should be worth it – the new plugin system should make upgrades much easier in future.